A brilliant history of the succession of James I of England, and the shifting power and lethal politics that brought him to the throne. 'Those who live in courts must mark what they say' warned Elizabeth I's godson. 'Who lives for ease had better live away'. At the dawn of the seventeenth century, when Mary, Queen of Scots, was dead and Elizabeth grown old, the English turned from their glorious but ageing queen to Mary's son, James VI of Scots -- the rising sun in the north. Focussing on the intense period of raised hopes and dashed expectations between Christmas 1602 and Christmas 1603, Leanda de Lisle tells in dramatic detail the story of Elizabeth's death and how the suffocating conservatism of her reign was replaced by the energetic, seemingly fair-minded James. As James journeys south to claim his new throne, he is confronted with the extraordinary wealth of his new kingdom, but also with English contempt for his Scots entourage and a stubborn rejection of his hopes for a British union. His welcome turns sour, and those disappointed turn to intrigue, plotting against him -- lives are lost and fortunes won in the struggle for power and influence. In this superb portrait of Elizabeth's court, de Lisle explores the forces that shaped James's life: his separation from his mother and the violence of his Scottish kingdom; his marriage to the vivacious Anna of Denmark; the government corruption, religious persecution and failed rebellions which set the stage for his accession to the throne of England. 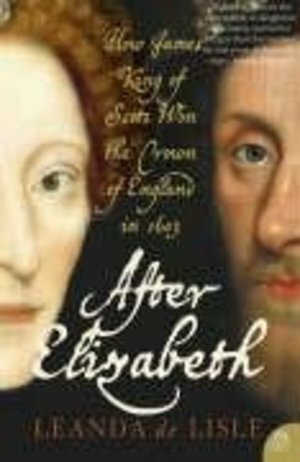 A story of shifting power and lethal politics, this vivid account of the cusp of the Tudor and Stuart centuries brings to life a period of glamour and intrigue that marked the beginning of a new age.